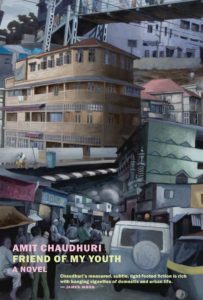 Amit Chaudhuri upends the traditional homecoming tale with his seventh novel, Friend of My Youth. Meta-narrated by a character named Amit Chaudhuri, this short work tracks his begrudging return to Bombay to participate in a handful of literary events. The narrator boasts a vehement disconnection to this former geography, all while unwittingly succumbing to vivid memories of his past. “I feel no nostalgia,” the narrator explains. What I encounter is an impossibility – of recovering whatever it was that formed me, which I churlishly disowned. Bombay was never good enough for me. Even now – as before – I hesitate to write about it. It becomes clear early in the novel that the narrator’s sentiment is at odds with the overall effect of the book, which swirls with recollections of sights and sounds. It feels written not with indifference but with an impassioned standoffishness, by someone who may claim to have nothing good to say about a subject but can’t stop talking about it. 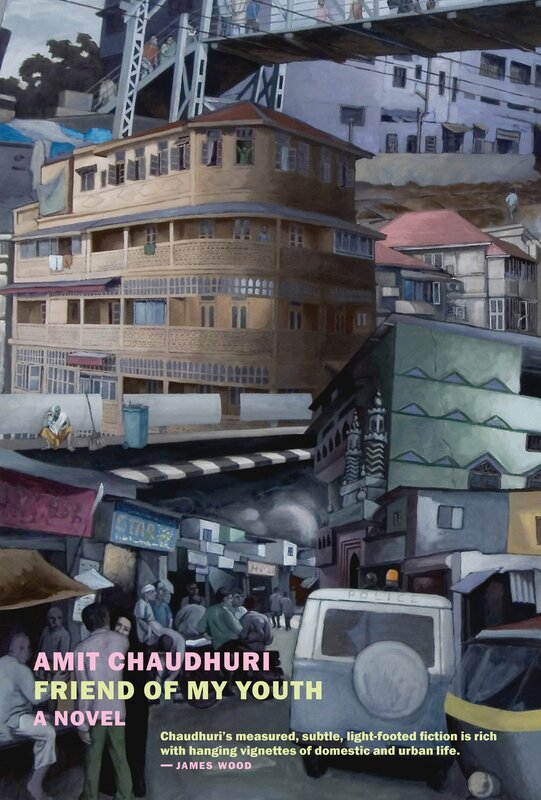 Despite his efforts, Chaudhuri’s narrator can’t shake the city’s lasting impact on him. This stubbornness results in a reading experience that is not particularly enjoyable, but at the expense of likeability, Chaudhuri has boldly penned a book about the inescapability of memory. However powerful fiction may be, it can never resist the pull of history. Friend of My Youth is full of subtle ideas and bold decisions, and although it’s fascinating to consider the historical traumas of a place alongside the unwelcome return of insignificant personal memories, Chaudhuri’s decision to shape his book into a metafictional narrative puzzle only gets in the way of his stronger themes. Choosing to lay out a narrative game for readers to explore and decide who Chaudhuri “really is” presumes readers are either already familiar with the author (and in on some joke) or care to figure him out personally. Despite Chaudhuri’s intentions, it’s a conceptual non-starter: self-reflexive narrative trickery is a tired game in contemporary literature, and newcomers will have no problem tabling this down-is-up narrative unreliability and moving on to the book’s more thoughtful ideas. But Chaudhuri persists. “No one is sure any more what the novel is,” he writes. The word has unprecedented currency. People are thrown it intermittently, and sometimes they throw it back. For about a decade now, when I’ve hedged and said, in answer to some query about my profession, ‘I write novels,’ people have occasionally countered with, ‘Fiction or non-fiction?’ Someone said to me that the ‘novel’ is now confused with the ‘book’ – it’s no longer understood as a form, but as writing itself. Chaudhuri may not realize how easy it is for readers to resist getting hung up in the seemingly oxymoronic conceptual webbing of the “nonfiction novel.” Many readers read for “writing itself” and not to explore demarcations between traditional forms and nomenclatures. To wonder whether Friend of My Youth is a novel or memoir or whether it accurately portrays its author would be to miss so much of what Chaudhuri has to offer, although he invites his readers repeatedly to weigh in on this unnecessary conversation.